Neuro-linguistic programming (NLP) is an approach to communication, personal development, and psychotherapy created in the 1970s. The title refers to a stated connection between the neurological processes ("neuro"), language ("linguistic") and behavioral patterns that have been learned through experience ("programming") and can be organized to achieve specific goals in life. According to certain neuroscientists, psychologists and linguists, NLP is unsupported by current scientific evidence, and uses incorrect and misleading terms and concepts. The founders of NLP, Richard Bandler and John Grinder, say that NLP is capable of addressing problems such as phobias, depression, habit disorder, psychosomatic illnesses, and learning disorders. Their stated aim was in "finding ways to help people have better, fuller and richer lives." Bandler and Grinder claimed that if the effective patterns of behaviour of exceptional people could be modeled then these patterns could be acquired by others. NLP has been adopted by private therapists, including hypnotherapists, and in management workshops and seminars touted to business and government. Reviews of empirical research on NLP indicate that NLP contains numerous factual errors, and has failed to produce reliable results for the claims for effectiveness made by NLP's originators and proponents. According to Devilly, NLP is no longer as prevalent as it was in the 1970s and 1980s. Criticisms go beyond the lack of empirical evidence for effectiveness; critics say that NLP exhibits pseudoscientific characteristics, concepts and terminology. NLP is used as an example of pseudoscience for facilitating the teaching of scientific literacy at the professional and university level. NLP also appears on peer reviewed expert-consensus based lists of discredited interventions. In research designed to identify the "quack factor" in modern mental health practice, Norcross et al. (2006) list NLP as possibly or probably discredited, and in papers reviewing discredited interventions for substance and alcohol abuse, Norcross et al. (2010) list NLP in the top ten most discredited, and Glasner-Edwards and Rawson (2010) list NLP as "certainly discredited". According to psychiatrist Robert Spitzer, NLP originated when Richard Bandler, a student at the University of California, Santa Cruz, was listening to and selecting portions of taped therapy sessions of the late Gestalt therapist Fritz Perls as a project for Robert Spitzer. Bandler said that he recognized particular word and sentence structures which facilitated the acceptance of Perls' therapeutic suggestions. Bandler then approached John Grinder, then a linguistics lecturer. According to Clancy and Yorkshire (1989), Bandler and Grinder say that they studied Perls's utterances on tape and observed a second therapist, Virginia Satir, to produce what they termed the meta model, a model for gathering information and challenging a client's language and underlying thinking. The meta model was presented in 1975 in two volumes, The Structure of Magic I: A Book About Language and Therapy and The Structure of Magic II: A Book About Communication and Change, in which the authors expressed their belief that the therapeutic "magic" as performed in therapy by Perls and Satir, and by performers in any complex human activity, had structure that could be learned by others given the appropriate models. They say that implicit in the behavior of Perls and Satir was the ability to challenge distortion, generalization and deletion in a client's language. According to Grinder, the linguistic aspects of neuro-linguistic programming were based in part on previous work by Grinder using Noam Chomsky's transformational grammar. However, according to linguist Stollznow (2010), this system of analyzing language is intended as theory, not therapy. Other than borrowed terminology, NLP doesn't bear authentic resemblance to any of Chomsky's theories or philosophies - linguistic, cognitive, or political. Challenging linguistic distortions, specifying generalizations, and recovery of deleted information in the client utterances, the surface structure, was supposed to yield a more complete representation of the underlying deep structure, and to have therapeutic benefit. Bandler and Grinder say that they drew ideas from Gregory Bateson and Alfred Korzybski, particularly about human modeling and ideas associated with their expression, "the map is not the territory". Satir and Bateson each wrote a preface to Bandler and Grinder's The Structure of Magic Volumes I & II. Bateson also introduced the pair to Milton Erickson who became their third model. Erickson also wrote a preface to Bandler and Grinder's two-volume book series based on their observations of Erickson working with clients, Patterns of the Hypnotic Techniques of Milton H. Erickson, Volumes I & II. These volumes also focused on the language patterns and some non-verbal patterns that Bandler and Grinder believed they observed in Erickson. According to Bandler and Grinder, the meta model is intentionally specific, but the Milton model was described as "artfully vague" and metaphoric - the inverse of the meta model. They say it was used in combination with the meta model as a softener, to induce trance, and to deliver indirect therapeutic suggestion. In addition to the first two models, Bandler, Grinder and a group of students who joined them during the early period of development of NLP, say that they developed techniques that they termed anchoring, reframing, submodalities, perceptual positions, and representational systems. At the time, the human potential movement was developing into an industry; at the centre of this growth was the Esalen Institute at Big Sur, California. Perls had led numerous Gestalt therapy seminars at Esalen. Satir was an early leader and Bateson was a guest teacher. Bandler and Grinder claimed that in addition to being a therapeutic method, NLP was also a study of communication. By the late 1970s Grinder and Bandler were marketing it as a business tool, claiming that "if any human being can do anything, so can you". After 150 students paid $1,000 each for a ten-day workshop in Santa Cruz, California, Bandler and Grinder gave up academic writing and produced popular books from seminar transcripts, such as Frogs into Princes, which sold more than 270,000 copies. According to court documents relating to an intellectual property dispute between Bandler and Grinder, Bandler made more than $800,000 in 1980 from workshop and book sales. According to one study by Steinbach (1984), a classic interaction in NLP can be understood in terms of several major stages including establishing rapport, gathering information about a problem state and desired goals, using specific tools and techniques to make interventions, and integrating proposed changes into the client's life. The entire process is guided by the non-verbal responses of the client. The first is the act of establishing and maintaining rapport between the practitioner and the client which is achieved through pacing and leading the verbal (e.g. sensory predicates and keywords) and non-verbal behaviour (e.g. matching and mirroring non-verbal behavior, or responding to eye movements) of the client. Once rapport is established, the practitioner may gather information (e.g. using the meta model questions) about the client's present state as well as help the client define a desired state or goal for the interaction. The practitioner pays particular attention to the verbal and non-verbal responses as the client defines the present state and desired state and any resources that may be required to bridge the gap. The client is typically encouraged to consider the consequences of the desired outcome may have on his or her personal or professional life and relationships, taking into account any positive intentions of any problems that may arise (i.e. ecological check). Fourth, assisting the client in achieving the desired outcomes by using certain tools and techniques to change internal representations and responses to stimuli in the world. Other tools and techniques include indirect suggestion from the Milton model, reframing, and submodalities. Finally, the changes are "future paced" by helping the client to mentally rehearse and integrate the changes into his or her life. For example, the client may be asked to "step into the future" and represent (mentally see, hear and feel) what it is like having already achieved the outcome. According to Stollznow (2010), "NLP also involves fringe discourse analysis and "practical" guidelines for "improved" communication. For example, one text asserts "when you adopt the "but" word, people will remember what you said afterwards. With the "and" word, people remember what you said before and after". The early books about NLP had a psychotherapeutic focus given that the early models were psychotherapists. As an approach to psychotherapy, NLP shares similar core assumptions and foundations in common with some contemporary brief and systemic practices, such as solution focused brief therapy. NLP has also been acknowledged as having influenced these practices with its reframing techniques which seeks to achieve behaviour change by shifting its context or meaning, for example, by finding the positive connotation of a thought or behaviour. According to Stollznow (2010) "Bandler and Grinder's infamous Frogs into Princes and other books boast that NLP is a cure-all that treats a broad range of physical and mental conditions and learning difficulties, including epilepsy, myopia and dyslexia. With its promises to cure schizophrenia, depression, and post traumatic stress disorder, NLP shares similarities with Scientology and the Citizens Commission on Human Rights, CCHR." The two main therapeutic uses of NLP are: (1) use as an adjunct by therapists practicing in other therapeutic disciplines, and (2) as a specific therapy called Neurolinguistic Psychotherapy which is recognized by the United Kingdom Council for Psychotherapy with accreditation governed at first by the Association for Neuro Linguistic Programming and more recently by its daughter organization the Neuro Linguistic Psychotherapy and Counselling Association. While the original goals of neuro-linguistic programming were therapeutic, the patterns have also been adapted for use outside psychotherapy for interpersonal communications and persuasion including business communication, management training, sales, sports, and interpersonal influence, used for coaching, team building, public speaking, negotiation, and communication. The UK Chartered Institute of Personnel and Development includes a number of NLP courses including an application of NLP to coaching in its 2010 training programme. A range of books have been published related to the application of NLP to coaching. In the early 1980s, NLP was hailed as an important advance in psychotherapy and counseling, and attracted some interest in counseling research and clinical psychology. In the mid-1980s, reviews in The Journal of Counseling Psychology and by the National Research Council (1988; NRC) committee found little or no empirical basis for the claims about preferred representational systems (PRS) or assumptions of NLP. In an article published in 2005, psychologist Grant Devilly stated that at the time it was introduced, NLP was heralded as a breakthrough in therapy, and advertisements for training workshops, videos and books began to appear in trade magazines. The workshops provided certification. However, controlled studies shed such a poor light on the practice, and those promoting the intervention made such extreme and changeable claims that researchers began to question the wisdom of researching the area further, suggesting that it was an untestable theory. The experimental research that does exist was mostly done in the 1980s and 1990s. It consisted of laboratory experimentation testing Bandler and Grinder's hypotheses that a person's preferred sensory mode of thinking can be revealed by observing eye movement cues and sensory predicates in language use. A research review conducted by Christopher Sharpley which focused on preferred representational systems, in 1984, followed by another review in 1987 in response to a critique published by Einspruch and Forman, concluded that there was little evidence for its usefulness as an effective counseling tool. Reviewing the literature in 1988, Michael Heap also concluded that objective and fair investigations had shown no support for NLP claims about "preferred representational systems". A research committee working for the United States National Research Council led by Daniel Druckman came to two conclusions. First, the committee "found little if any" evidence to support NLP's assumptions or to indicate that it is effective as a strategy for social influence. "It assumes that by tracking another's eye movements and language, an NLP trainer can shape the person's thoughts, feelings, and opinions (Dilts, 1983. There is no scientific support for these assumptions." Secondly, the committee members "were impressed with the modeling approach used to develop the technique. The technique was developed from careful observations of the way three master psychotherapists conducted their sessions, emphasizing imitation of verbal and nonverbal behaviors... This then led the committee to take up the topic of expert modeling in the second phase of its work. "(Druckman, 2004) Von Bergen et al. (1997) state that "the most telling commentary on NLP may be that in the latest revision of his text on enhancing human performance, Druckman (Druckman & Bjork 1991) omitted all reference to Neurolinguistic Programming." According to Gelso and Fassinger (1990) Sharpley's literature review, marked a decline in empirical research of NLP, and particularly in matching sensory predicates and its use in counsellor-client relationship in counseling psychology. NLP practitioners and academics Tosey and Mathison have argued that the experimental approach is not always appropriate for researching NLP, instead proposing that NLP should be researched phenomenologically. Gareth Roderique-Davies (2009) stated that "Phenomenological research is free from hypotheses, pre-conceptions and assumptions, and seeks to describe rather than explain. Given the claims made by proponents of NLP, this adds little to the credibility debate and would produce reports concerning the experience from the perspective of the individual rather than confirmation of the claimed efficacy. The fact remains that NLP proponents make specific claims about how NLP works and what it can do and this compels providing evidence to substantiate these claims." He argued that the proposal to conduct phenomenology research using NLP modeling "constitutes an admission that NLP does not have an evidence base and that NLP practitioners are seeking a post-hoc credibility." The term "Neuro-linguistic programming" has been characterized as pseudo-scientific. Witkowski (2010) writes that "NLP represents pseudoscientific rubbish, which should be mothballed forever." Roderique-Davies (2009) states that "neuro" in NLP is "effectively fraudulent since NLP offers no explanation at a neuronal level and it could be argued that its use fallaciously feeds into the notion of scientific credibility". Witkowski (2010) also states that at the neuronal level NLP provides no explanation at all and has nothing in common with academic linguistics or programming. Similarly, experimental psychologist Corballis (1999) in his critique of lateralization of brain function (the left/right brain myth), states that "NLP is a thoroughly fake title, designed to give the impression of scientific respectability". Witkowski (2010) states that NLP uses impressive sounding yet questionable expressions such as; pragmagraphics, surface structure, deep structure, accessing cues, non-accessing movement etc. Canadian skeptic and psychologist Barry Beyerstein (1995) also says that NLP contains terms such as, eye accessing cues, the metamodeling, metaprogramming, neurological levels, representational systems, and submodalities, intended to obfuscate and to give false impression of a scientific discipline. He says "though it claims neuroscience in its pedigree, NLP's outmoded view of the relationship between cognitive style and brain function ultimately boils down to crude analogies." Furthermore Beyerstein (1995) believed that NLP has helped popularize myths about the brain and neurology. He believes that the aphorism "you create your own reality" promotes a relativistic perspective and only seeks to gain immunity from scientific testing. Clinical psychologist Grant Devilly (2005) identified NLP as an early example of a power therapy. Devilly claims that these so called power therapies share characteristics of pseudo-science including: the promotion of unobtainable goals, rationalization traps, manufactured credibility, a set of specific beliefs, self generated persuasion, vivid appeals, the use of common misconceptions, and attacks on critics through the use of innuendo. NLP has been criticized alongside theories and practices characterized as questionable, pseudoscience and/or discredited practices in therapy. Sources within therapy and psychology include books such as Crazy Therapies (1997), Science and Pseudo-science in Clinical Psychology (2002), and Tall Tales about the Mind and Brain (2007). Articles critical of NLP also appear in the Encyclopedia of Pseudoscience (2000), and The Skeptic's Dictionary (2003). NLP has more recently been used as a key example of pseudo-science to facilitate the understanding of the importance of rational and critical thinking in a number of academic subjects. According to Witkowski (2010), NLP also appears on "the list of discredited therapies" published in the journal of Professional Psychology: Research and Practice. With reference to work by Carroll (2003), Della Sala (1999), Lilienfeld et al. (2003) and Singer and Lalich (1996) on "pseudoscientific, unvalidated, or "quack" psychotherapies" within clinical psychology, Norcross et al. included NLP for treatment of mental/behaviour disorders in a survey of the opinions of psychologists who rated NLP between possibly discredited and probably discredited, a rating similar to dolphin assisted therapy, equine therapy, psychosynthesis, scared straight programs, and emotional freedom technique (EFT). Norcross et al. listed "neurolinguistic programming for drug and alcohol dependence" seventh out of their list of the ten most discredited drugs and alcohol interventions, and it is listed as "certainly discredited" in Evidence-based practices in addiction treatment: review and recommendations for public policy (Fala et al. 2008 as cited by Glasner-Edwards and Rawson, 2010). In the 1980s, shortly after publishing Neuro-Linguistic Programming: Volume I with Robert Dilts and Judith Delozier, Grinder and Bandler fell out. Amidst acrimony and intellectual property lawsuits, the NLP brand was adopted by other training organizations. Some time afterwards, John Grinder collaborated with various people to develop a form of NLP called the New Code of NLP which claimed to restore a whole mind-body systemic approach to NLP. New code of Neuro-linguistic programming (New code of NLP) is a revised framework for the teaching and delivery of NLP patterns. It was developed in the early and mid-1980s. Grinder has described the new code as an attempt to address several design flaws that were observed in the classic coding. Richard Bandler also published new processes based on submodalities and Ericksonian hypnosis. 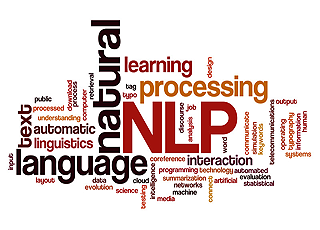 Since its beginnings in the 1970s, NLP has been taught in a variety of formats that involve the promotion of associations and the attainment of course certificates. Course lengths and style vary from institute to institute. In the 1990s, following attempts to put NLP on a regulated footing in the UK, other governments began certifying NLP courses and providers; for example, in Australia, a Graduate Certificate in Neuro-linguistic programming is accredited under the Australian Qualifications Framework. However, NLP continues to be an open field of training with no "official" best practice. With different authors, individual trainers and practitioners having developed their own methods, concepts and labels, often branding them as "NLP", the training standards and quality differ greatly. According to Peter Schütz, the length of training in Europe varies from 2 - 3 days for the hobbyist to 35 - 40 days over at least nine months to achieve a professional level of competence. He says the multiplicity and general lack of controls has led to difficulty discerning the comparative level of competence, skill and attitude in different NLP trainings and has resulted in NLP getting associated with cults like scientology, and getting labeled in unfavorable political ways (nazilinguistic programming). In 2009, a British television presenter was able to register his pet cat as a member of the British Board of Neuro Linguistic Programming (BBNLP), which later claimed that it existed only to provide benefits to its members, and not to certify credentials. In 2001, neuro-linguistic psychotherapy, a derivative of NLP, was recognized by the United Kingdom Council for Psychotherapy as an experimental constructivist form of psychotherapy. Today, there are many competing organisations offering varying forms of NLP training and certification in what can be a lucrative business. The Guardian reported that in 2006 that a seven day course by Paul McKenna's company for 600 delegates produced £1m of revenue. Many variants of the practice are found in seminars, workshops, books and audio programs in the form of exercises and principles intended to influence behavioral and emotional change in self and others. There is great variation in the depth and breadth of training and standards of practitioners, and some disagreement between those in the field about which patterns are, or are not, "NLP". Austin, A. (2007). The Rainbow Machine: Tales from a Neurolinguist's Journal. UK: Real People Press. ISBN 0-911226-44-3. Bandler, R., Grinder, J. (1979) Frogs into Princes: Neuro Linguistic Programming. Real People Press. 149 pages. ISBN 0-911226-19-2. Bandler, R., Grinder, J. (1975) The Structure of Magic I: A Book About Language and Therapy Science and Behavior Books. 198 pages. ISBN 0-8314-0044-7. Bandler, R., Grinder, J. (1981) Reframing: Neuro-Linguistic Programming and the Transformation of Meaning Real People Press. ISBN 0-911226-25-7. Bandler, R., Andreas, S. (ed) and Andreas, C. (ed) (1985) Using Your Brain-for a Change ISBN 0-911226-27-3. Dilts, R., Hallbom, T., Smith, S. (1990) Beliefs: Pathways to Health & Well-being. Dilts, R. (1990) Changing belief systems with NLP Meta Publications. ISBN 0-916990-24-9. Druckman, Daniel & John A Swets, (Eds) (1988). Enhancing Human Performance: Issues, Theories, and Techniques. Washington DC: National Academy Press. ISBN 0-309-03792-1. http://www.nap.edu/books/0309037921/html. Ellerton PhD, CMC, Roger (2005). Live Your Dreams Let Reality Catch Up: NLP and Common Sense for Coaches, Managers and You. Ottawa, Canada: Trafford Publishing. ISBN 1-4120-4709-9. http://www.live-your-dreams.biz/. Grinder, J., Bandler, R. (1976) Patterns of the Hypnotic Techniques of Milton H. Erickson Volume I ISBN 0-916990-01-X. Grinder, M. Lori Stephens (Ed) (1991) Righting the Educational Conveyor Belt ISBN 1-55552-036-7. O'Connor, Joseph & Ian McDermott (1996). Principles of NLP. London, UK: Thorsons. ISBN 0-7225-3195-8. Satir, V., Grinder, J., Bandler, R. (1976) Changing with Families: A Book about Further Education for Being Human Science and Behavior Books. ISBN 0-8314-0051-X. Wake, L. (2008). Neurolinguistic Psychotherapy: A Postmodern Perspective. USA: Routledge. ISBN 0-415-42541-7. Bradley, E J & Heinz J Biedermann (1985). "Bandler and Grinder's Communication Analysis: Its historical context and contribution". Psychotherapy, Theory and Research 22 (1): 59-62. Platt, Garry (2001). "NLP - Neuro Linguistic Programming or No Longer Plausible?". Training Journal. May 2001: 10-15. See NLP - Neuro Linguistic Programming or No Longer Plausible?. Morgan, Dylan A (1993). "Scientific Assessment of NLP". Journal of the National Council for Psychotherapy & Hypnotherapy Register. Spring 1993. Von Bergen, C W, Barlow Soper, Gary T Rosenthal, Lamar V Wilkinson (1997). "Selected alternative training techniques in HRD". Human Resource Development Quarterly 8 (4): 281-294. doi:10.1002/hrdq.3920080403. Look up Neuro-Linguistic Programming in Wiktionary, the free dictionary. Please browse our fully updated library of professionally produced Hypnosis Downloads and Hypnosis Scripts for advanced self hypnosis audio mp3s and indirect hypnotherapy scripts relating to: neuro-linguistic programming, about, applications, definition, examples, exercises, history of, information, linguistic, neuro, nlp, practices, practitioner, programming, standards, techniques, what is neuro-linguistic programming. Please browse our Hypnosis Online Store for books, cds, downloads, dvds, ebooks, mp3s, scripts, and videos relating to: neuro-linguistic programming, about, applications, definition, examples, exercises, history of, information, linguistic, neuro, nlp, practices, practitioner, programming, standards, techniques, what is neuro-linguistic programming. Please visit Hypnotic-world.co.uk for advanced self hypnosis audio mp3s, hypnosis courses, and hypnosis pdf relating to: neuro-linguistic programming, about, applications, definition, examples, exercises, history of, information, linguistic, neuro, nlp, practices, practitioner, programming, standards, techniques, what is neuro-linguistic programming. Please visit Hypnotic-world.com for more information relating to: neuro-linguistic programming, about, applications, definition, examples, exercises, history of, information, linguistic, neuro, nlp, practices, practitioner, programming, standards, techniques, what is neuro-linguistic programming.